Work out smarter, not harder. Let’s say that you and a friend are roughly similar in terms of eating habits, age, gender and weight, and you decide to buddy up on some serious spin class action. After a couple of weeks, you notice that she’s seeing major gains in strength, energy and body composition. Meanwhile, all you’ve got to show for it is a laundry hamper full of sweaty gym clothes. She’s crushing it, and you’re just feeling crushed. What gives? One recent study may have the answer: You may be a nonresponder to the type of exercise you’ve just taken on, while your friend is a big-time responder. Whether you’re just getting started on your fitness journey or you’re an athlete looking to avoid plateau, knowing whether or not you’re a responder can help quash frustration and lead you to activity that’s more your groove — with plenty of results along the way. In the study, researchers recruited 121 sedentary, middle-age men and women with significant belly fat and had them complete five exercise sessions over a six-month period. The types of exercises varied in terms of intensity and duration. What they discovered was that cardiorespiratory fitness increased for everyone to some degree but that results were uneven across each group. Some people simply responded better to the kind of exercise they were given than others. A number of those nonresponders did, eventually, begin to see more traction after a few months, but others didn’t see any improvement even after six months. The study didn’t measure other potential results of fitness like lowered blood pressure, better insulin sensitivity or healthier cholesterol numbers. But even if it had, those advantages tend to fall away if someone decides to quit exercising from lack of results. If you’re just starting to work out and you’re not seeing progress, it can be especially discouraging, says Aaron Leventhal, a certified personal trainer and owner of Fit Studios in Minneapolis. For both beginning exercisers and experienced athletes, his advice is the same: Set a baseline, track your results and mix up the training after two weeks if you’re not seeing changes. Results might be less about physical shifts — like muscle gains or weight loss — and more about endurance, energy stability outside the gym, better sleep or an overall feeling of wellness. If you’re not getting any of that, change your activity and start over. For example, stop going to spin class and start a weight lifting program, or ditch the treadmill and commit to kickboxing instead. Leventhal changes his own activity mix every two to three weeks to keep his training fresh and increase performance. 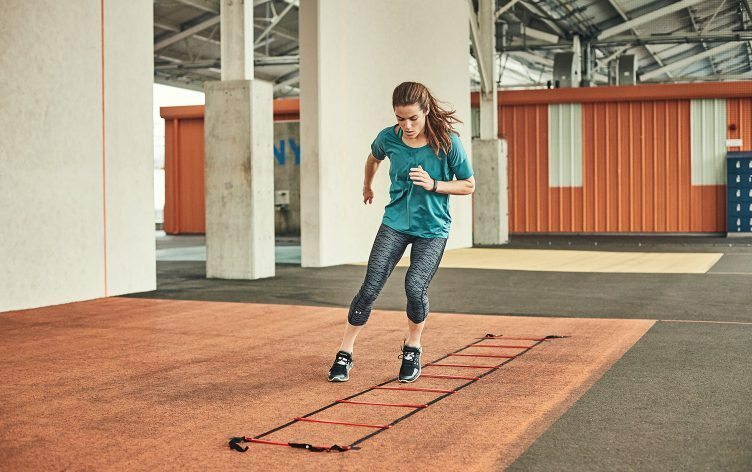 No matter where you are on your fitness track, just remember that change is a good thing — especially if you’re not responding to what you’re doing.